PolyLink Protein Coupling Kit | Polysciences, Inc.
Carboxyl (COOH) microparticles can be used for covalent coupling of proteins by activating the carboxyl groups with water-soluble carbodiimide. The carbodiimide reacts with the carboxyl group to create an active ester that is reactive toward primary amines on the protein of interest. The PolyLink Protein Coupling Kit contains buffers and carbodiimide (EDAC) derivative for coupling proteins to carboxylated beads. The contents of the kit are sufficient for 50 coupling reactions using 200-500µg of protein per reaction. 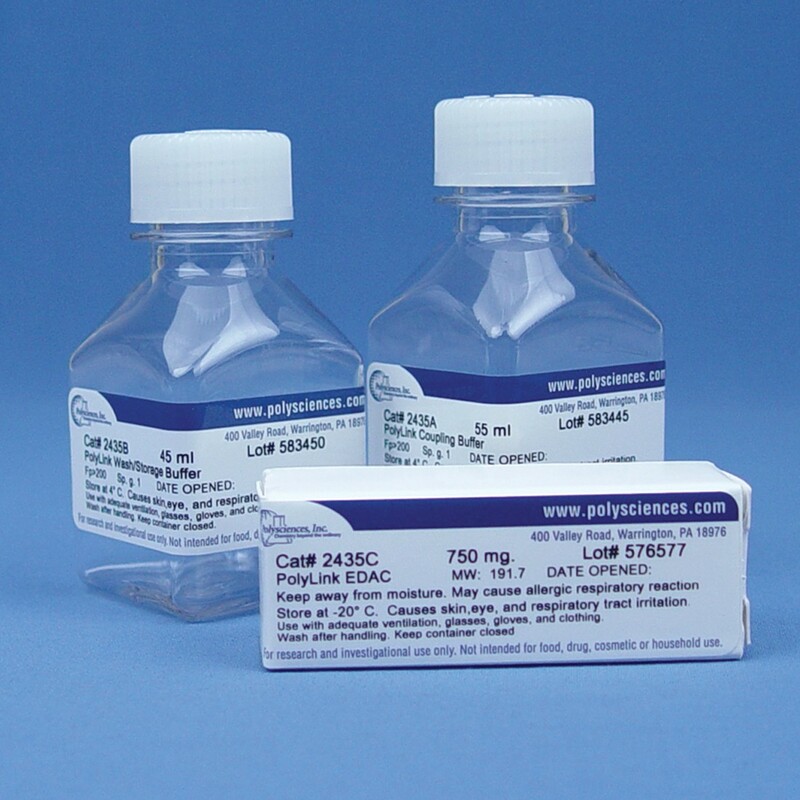 The kit has been optimized using purified IgG as the coupling protein.